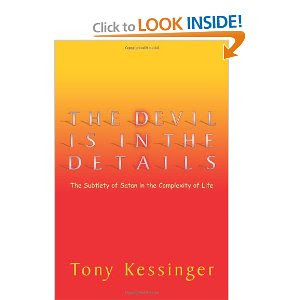 From Bible teacher Tony Kessinger comes a book that everyone should read. In this day and age we as Christians see evil around us and often feel helpless. What is worse is realizing that Satan is out there doing battle against us all the time. He's sneaky and that is where the real danger is. Tony took a lot of time to research the scriptures and to give us a base to build upon. He has shown us how Satan has changed his was as humans have changed theirs. Some of the things Satan does seems so innocent and innocuous until we come across scripture that shines a light on his deeds. He is indeed sneaky. As a teacher it makes me even more wary about what I teach to my students. Their generation is being inundated with material everyday that seems harmless but is slowly knocking their defenses down and allows Satan to gain a little more ground. I am glad I was given the opportunity to read and review this book. I feel better prepared to be more observant. I will recommend this book to everyone I can because we know time is short and Satan is counting on that to draw more people to him. I feel I need to mention the summary done at the end of each chapter. It tied things up nicely. Often chapters were so full of information that I lost what I had started out reading. Not only was it educational to read, it was a pleasure to read.